Either the Kenosha News customer database was hacked or they sell customer info. I wouldn’t be surprised by either one. This is the second email I’ve received in last week from someone that has a malicious attachment. 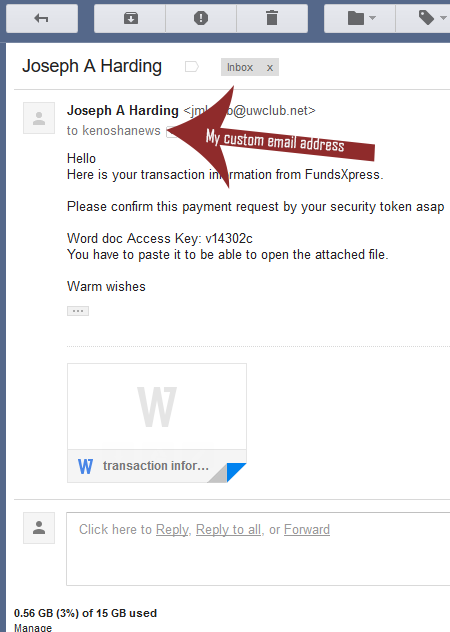 I know it’s from my Kenosha News account as I use custom email addresses for any service I sign up for. As you can see in the screenshot the email that it was sent to. While you should practice safe email procedures all the time, just be extra diligent if the Kenosha News has your email.